“Things are gonna happen for me, I’m Moe Dirt”, as Hawks Motorsports put it when it comes to their new project car, Moe Dirt. Hawks is going to resurrect this 1985 Camaro IROC to make it a fierce machine. This project is in its very early stages, and we’re starting to see it take shape. The goal with Project Moe Dirt is to bring it “From trailer park to triple threat.”, and we got the first look at the IROC back in late November, and they’ve been teasing us with little tidbits ever since. By the first few weeks in December, the car was totally stripped down and the team had installed new seat brackets. This was done in preparation of installing a rollcage in the Camaro. Once the roll cage was installed, it was off to sandblasting in the next step of the Moe Dirt journey. As the project rapidly progressed through December and into the new year, the IROC started to look a lot fresher than ever before. The amazing paint transformation was completed by the experts at Kolorworks LLC. Now, Hawks Motorsports has announced that they are done with the first phase of their Moe Dirt makeover. The biggest emphasis was getting the roll cage in and getting the yellow gold (GM IROC paint code 50 WA8740) paint on the body. This opens things up to move on to the real meat of the project, which is going to elevate the car to monstrous levels. 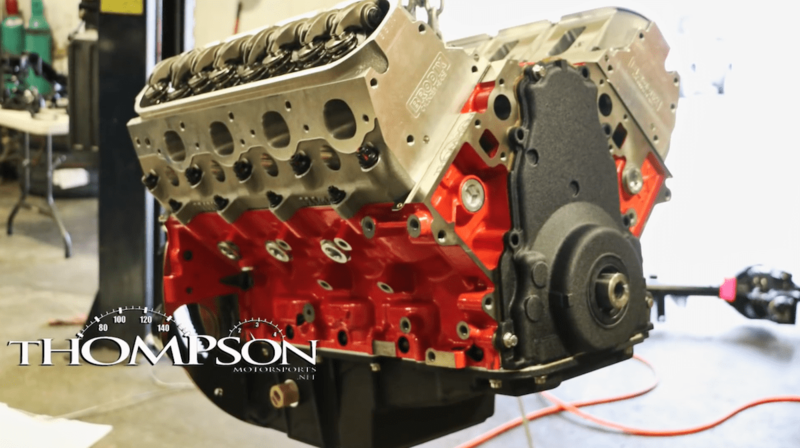 Thompson Motorsports delivered on the custom LSX 388ci with the Brodix cylinder heads, and custom Hawks Motorsports camshaft, the foundation of the build. More additions are coming, like topping off the powerful engine with a Magnuson 2300 blower. There’s no news about the transmission, yet, but we know the powertrain/drivetrain will run into a Hawks 8.8 rearend. We’ll keep you updated and Hawks continues to transform the car.